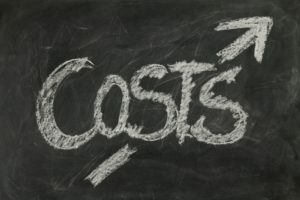 This post serves to act as a guideline in how to understand and evaluate the true cost of ownership in implementing and maintaining an OEE (Overall Equipment Effectiveness) software system. The following outlines the typical costs associated with such a project . Some OEE software systems require downtime on the factory floor before they can be implemented. Typically this could involve reprogramming the PLCs that control the machines or adding a new PLC to collect data from the factory floor. In many cases the data may already exist in the PLCs but may be in the wrong format. Some OEE systems will expect the data to be in a specific format before the OEE data acquisition software can read it. This will often mean that the PLC code for the machine has to be modified resulting in downtime on the factory floor. It is important to understand that in some factories the cost of even one day of downtime on the factory floor can far outweigh the licensing cost of an OEE software system. One day of downtime on the factory floor can cost from thousands of euros to millions of euros depending on the value of the product being produced. In addition in regulated environments, changes to machine PLC code are typically considered GMP (Good Manufacturing Practice) changes. This means that additional costs around validation and qualification can occur as a result of changing the PLC code. Ideally choose an OEE system that requires no or minimal downtime on the factory floor for implementation. It is important to clearly understand the licensing cost when purchasing an OEE system. Do you pay per user / node, per server, per machine or per tagname? As you scale your system understand what additional licensing costs you will incur. Understand and ask your vendor if there are additional third party licensing costs, for example Microsoft Operating Systems, Microsoft SQL Server or an OPC server to access data from the PLCs. Depending on the system you choose there will most likely be a cost for developing / configuring the software system. It can be preferable to choose an OEE system that is configurable rather than a system that needs to be reprogrammed (assuming the features of the configurable software meet your requirements). Configurable systems can be setup quicker where less time should mean less cost. The benefits of this lower development cost will be realised over time when you go to scale the software across your plants. Paying to develop and redevelop a solution across different areas of your plant can prove to become expensive over time. This can also result in a scenario where you experience the added cost of maintaining multiple different versions of your code across different areas of your plant. Ensure that you fully understand how existing work practices are affected by the day to day running of your OEE system. For example when operators are logging the root cause reasons for downtime on your production lines, it is very important that they can do this very quickly without any significant interruption to their work. If a scenario arises where operators feel that it is taking too much time to log downtime reasons then the argument could justifiably be made that the OEE software is taking too much of their time. In such a case running the OEE software has become a source of downtime by distracting the operator whose primary focus must be on keeping the line running. It is important when the software is up and running that the software can be modified easily. As mentioned above it can be preferable to use configurable rather than programmable software solutions. This means that as your plant changes, you can reconfigure your plant in the software without incurring software development costs. Ideally it should be possible to reconfigure the software in-house (if for example you add a new machine) and avoid the cost of paying for a vendor to come on site to reprogram the software every time a change is required. Find out from your vendor how they charge for training. How many people can attend per session and where does the training occur (on site or at the vendors premises). Find out if they need to develop a training system and if there is an associated cost. Find out from your vendor how they charge for annual support. Clarify whether it is mandatory to pay for support annually or if it is optional. It is not unusual for an OEE (or other IT / automation project) to go live in a production environment but result in disappointment and frustration for the end users of the system. 1. The software is not intuitive enough. 2. The software is too complex and takes too much time to perform simple tasks. 3. The software does not give the right data we want. 4. The software gives the right data but not in the right format. 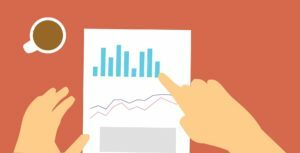 Many of these issue can occur as a result of companies assessing the software during the sales process but looking at the screens in a generic demo. The sales demo and subsequent demos should consist of replicating as closely as possible the full user experience. The demos should be specific to your plant and not generic. This replicating of the user experience can be achieved using a prototype system during demos. This should enable you to replicate problems that you currently experience on the factory floor during the demo and observe how the production software can help to resolve these issues. Doing this will not only help you to understand better in real time the full user experience but it will also help you understand your own requirements and how well the OEE software solution addresses them. Understanding this can help you to avoid a scenario where the software goes live but you have to keep paying the vendor for additional changes that may not have been budgeted for. Many companies make the mistake of confusing price with cost. Companies should consider the above factors to evaluate the overall cost when choosing an OEE system and not base their decision based solely on the initial quoted price on vendor quotations. Companies should also evaluate the financial gain that can be achieved by proper implementation and use of their OEE system. A system that is initially priced higher but that results in a higher return on investment may end up costing less.